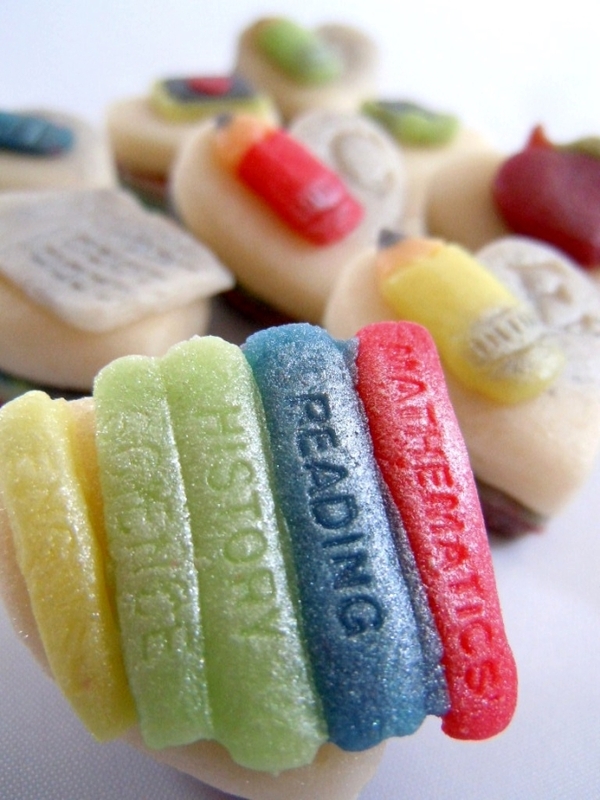 Here's an end of term present that's unique! 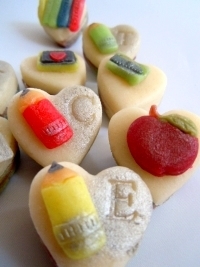 Show your appreciation to a favourite teacher with this box of marzipan hearts decorated with classroom items including tiny pencils, books, and even an apple. 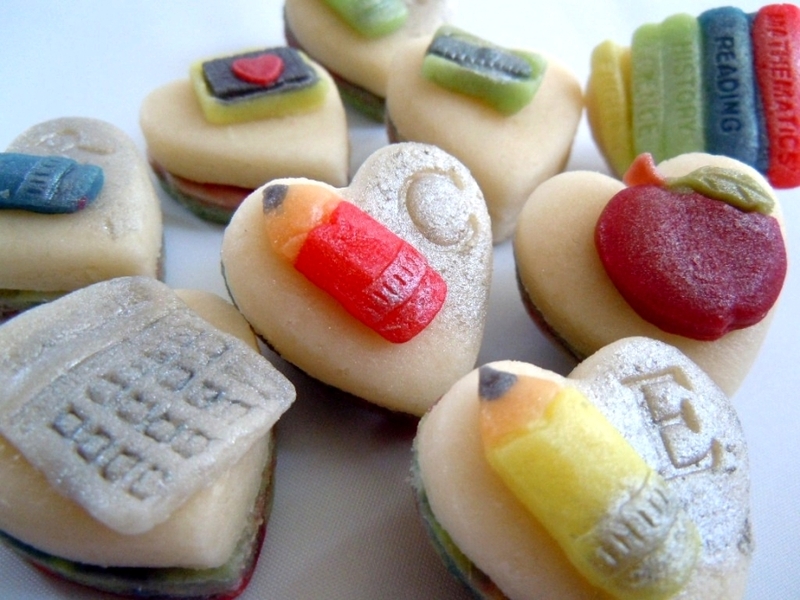 Includes the message "BEST TEACHER".